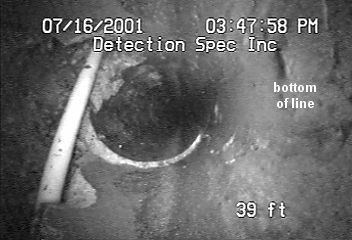 Item being inspected: 6 inch VCP (clay) sewer. What you're looking at: Large root stoppage blocking approximately 70% of the line. What you're looking at: Plastic gas service bored through top of line during installation. About 1/4 of the pipe diameter is completely missing. Item being inspected: 4 inch roof drain at high-rise office building. 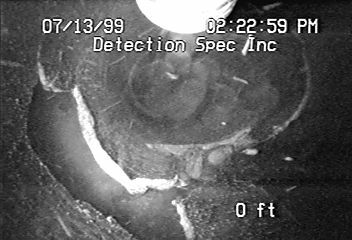 What you're looking at: No-hub coupling at copper to cast iron transition has failed, allowing offset and seperation at joint. During a heavy rainstorm, water would exit the pipe at this joint, and flood portions of the offices on the tenth floor of this building. 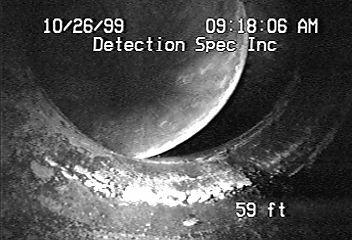 Item being inspected: 4 inch ductile iron fire water system. 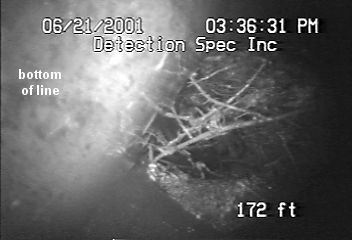 What you're looking at: Catastrophic pipe failure - almost the entire circumference of the line is cracked, and large pieces of the pipe are completely missing. The resulting leak completely flooded the facility in the time it took to shut down the water at its source.